The sunfish sailboat began as a wood hull design and proceeded in a few years to fiberglass construction. Sunfish first appeared around 1952. The Sunfish sailboat is a one person sized sailboat, a beach launched sailing dinghy utilizing a pontoon type hull carrying a lateen sail mounted to a mast without any stays. The hull’s very mild "V" bottom and hard chine make Sunfish a most stable boat for its size, along with enabling it to sail on a plane (hydroplane). Planing allows the boat to achieve a speed greater than theoretical hull speed based on length at waterline. Having a down-wind performance advantage helps the Sunfish to achieve a state of planing at lower wind speeds than some other sailboats. Having a lateen sail with its simple two line rigging makes a Sunfish simple to learn sailing on and it is also easy to set up. Upgrades can be added to enhance sail control for competitive sailing, making the boat attractive to both novice and experienced sailors alike. 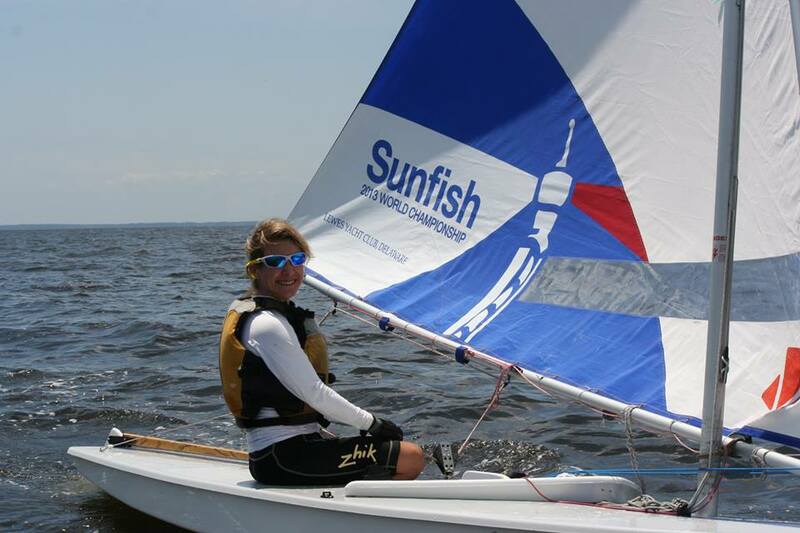 The Sunfish sailboat is very versatile, it is a community where young, old, short, tall, big, small, man, woman, world-class or just learning, people who love our little boats. We are dedicated to racing our best while recognizing the Corinthian essence of the sport. We challenge you to find a more welcoming, open and friendly group of sailors anywhere. We are classic, competitive and fun! 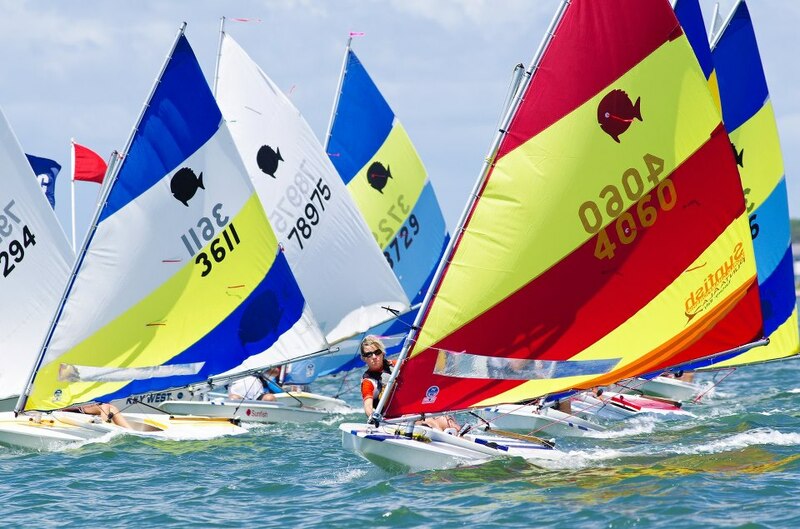 Sunfish sailors who enjoy sailing competitions, but who do not have the advantage of a nearby Sunfish fleet, can race their Sunfish against nearly any other make and model of sailboats via the "Open Class" system using a handicap system. Sunfish have a base-line Portsmouth handicap of 99.6.